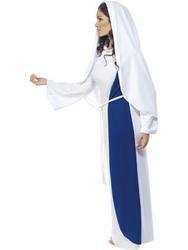 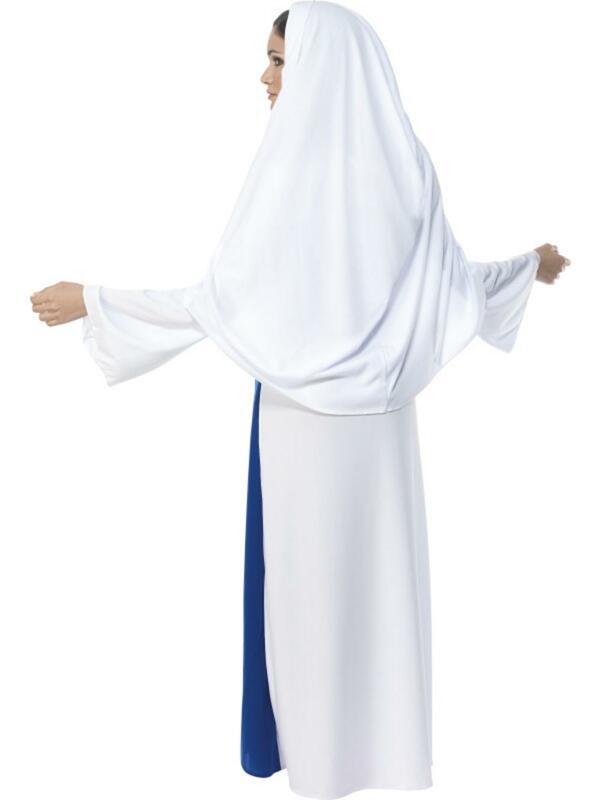 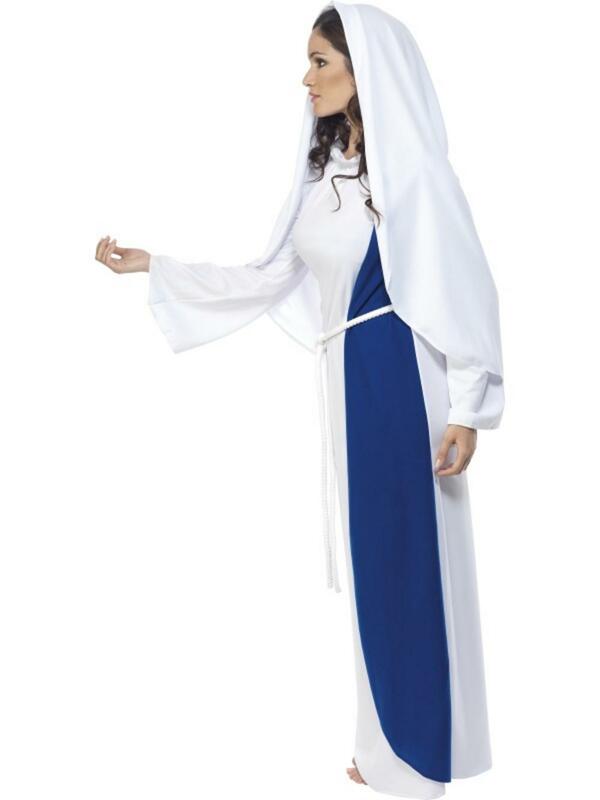 Turn yourself into the nativity scenes' leading lady with this traditional, Mary fancy dress costume. 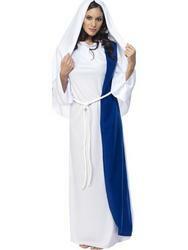 Included is a blue and white dress decorated with a rope belt and a white headpiece. Great for wearing to a Christmas party or in a nativity play.